Santorini is one of the Cyclades islands in the Aegean Sea. It is one of the many beautiful islands in Greece. 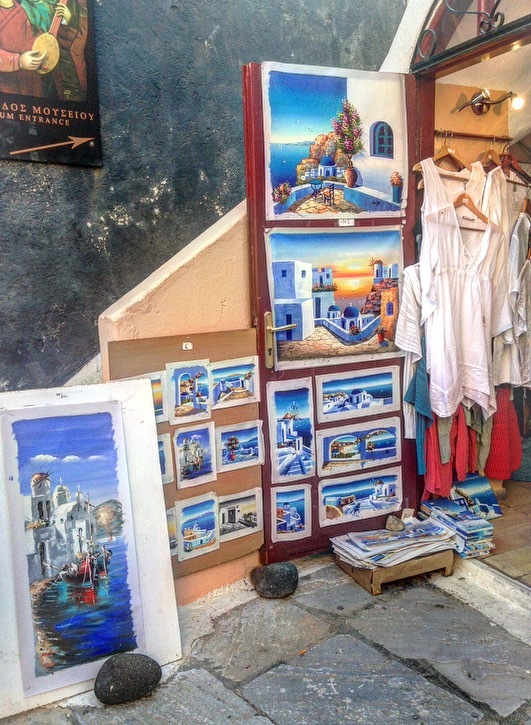 My perception of Santorini is that it was filled with only white and blue architecture as many pictures on social media portrayed (not quite, only a particular village in Santorini reflected this). I always also had the impression that Santorini was one of those islands meant for honeymooners and couples and having spent a few days there on a week tour of the greek islands, I could see why. 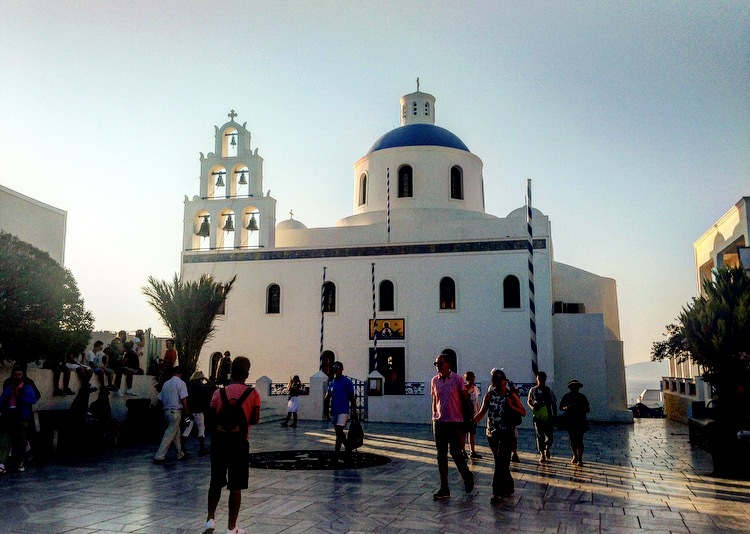 My trip to Santorini followed my trip to Ios and was before my trip to to Mykonos. Make sure to check what I got up to in these locations too. 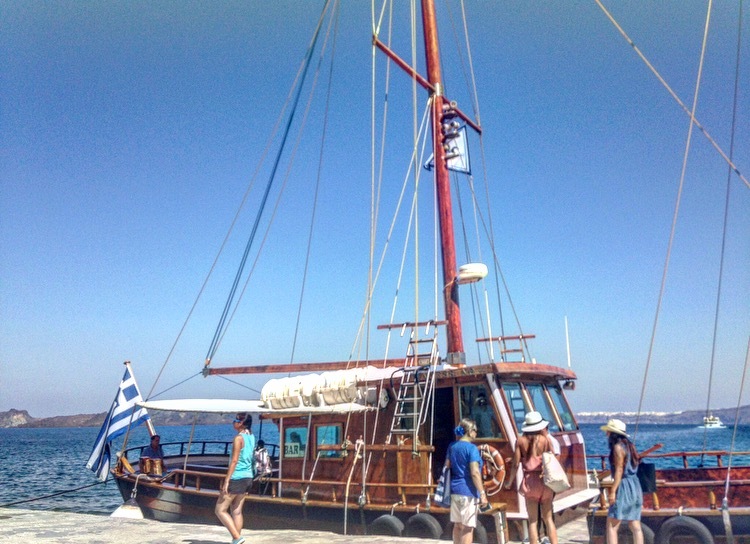 I arrived in Santorini by ferry, after spending a few days in the interesting and lively island of Ios. The streets of Santorini where windy and hilly. I went along this trip with one of my girlfriends and we stayed at the Ira Hotel & Spa. The hotel is located in Firostefani about 1km from Fira, the capital of Santorini (which is away from the bustle of Fira but close enough to walk to). 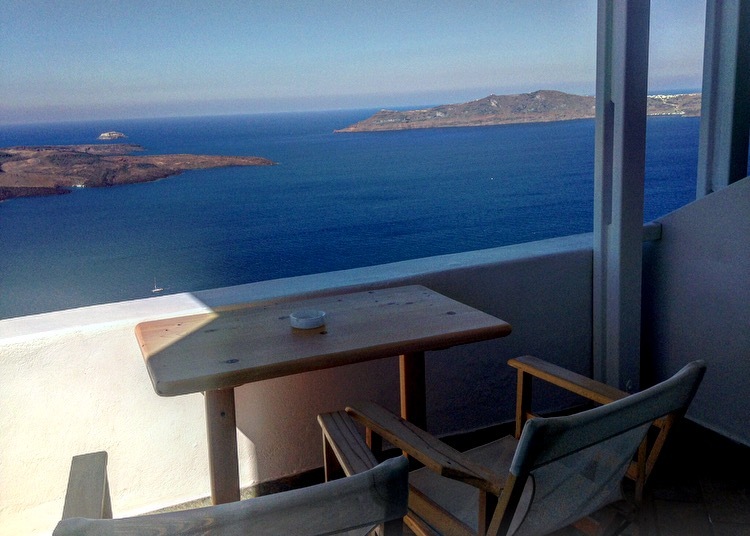 Ira hotel is a stunning hotel with an incredible view of Santorini (Did I mention the pretty decent breakfast?). We spent our last evening visiting Oia, an village in the north west edge of Santorini where most of those stunning pictures we see online were actually taken from. 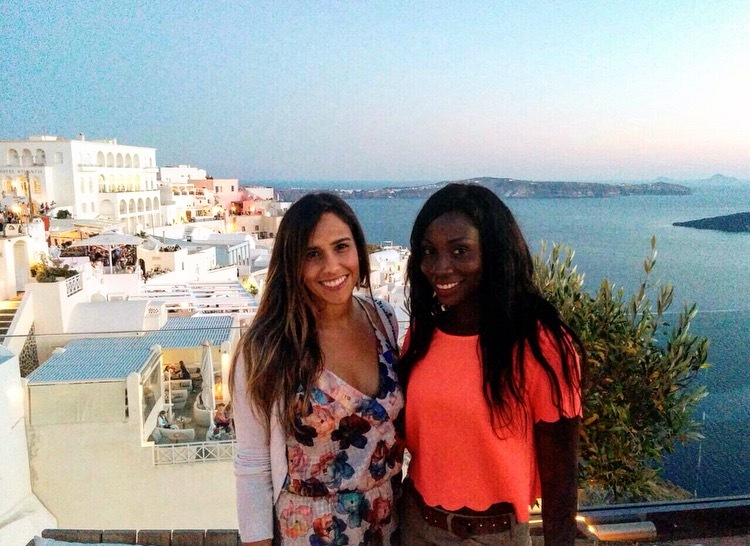 Oia is the perfect backdrop for the beauty that is in Santorini so this is where you want to make sure you are camera ready. 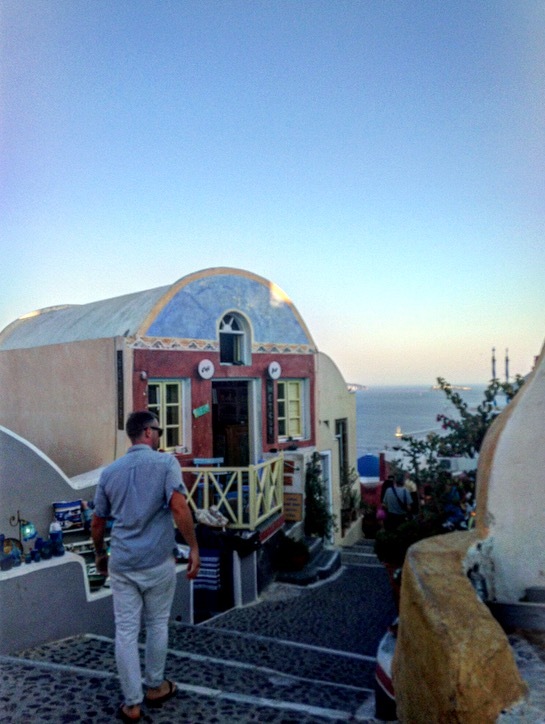 One of the most popular things to do in Oia is to watch the sunset from one of the bars on the cliff in Oia. 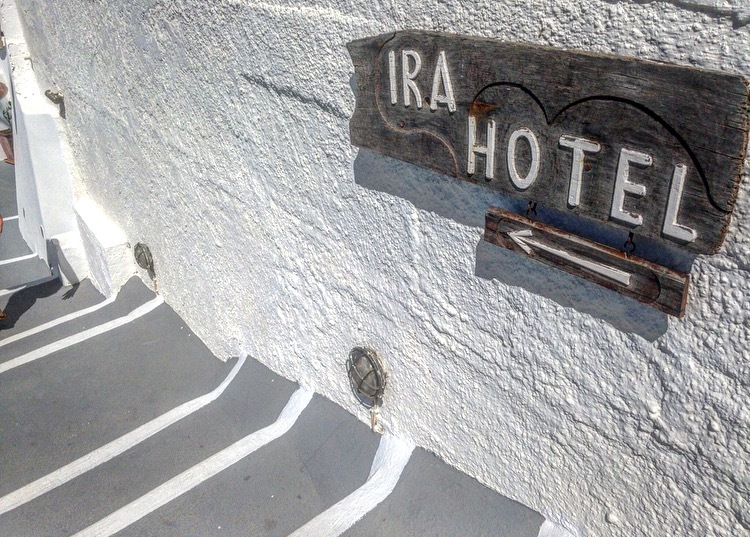 Certainly a must-do if you decide to visit Oia. Because it is a must-do, I suggest you find yourself a spot early as its a popular tourist destination that gets packed very quickly. 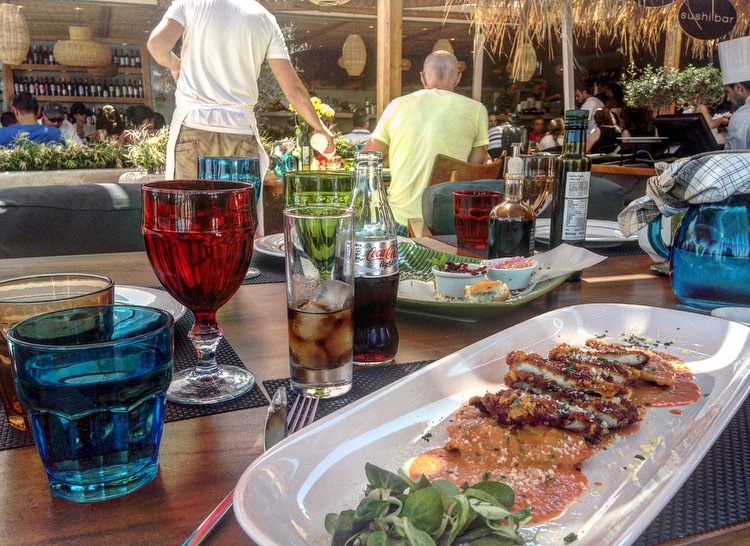 Before I forget, the food in Santorini was phenomenal especially if your thing is seafood. My favourite restaurant hands down was Sea side by Notos. It is located by the beach of Agios Georgios. The beach here is filled with dark sand and is home to many gorgeous beach bars. Memorable thing happened on our arrival at the beach when our car got stuck in the sand. Within minutes, people came to help to pull out our car. I had thought we would be stuck there for hours. 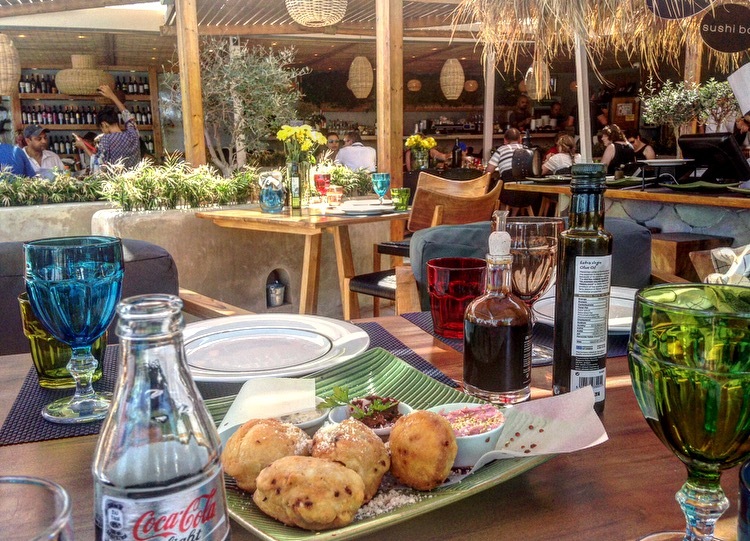 In summary, if you are single and visiting Santorini, ensure to bring your single friends along (at least 3 people), fill your days with beach activities, venture to the many amazing restaurants and beaches and of course, don’t over stay your welcome in Santorini (The many love birds may make you depressed after a while). Getting around: For the most part we walked for the most part but hired a two seater vehicle when we ventured to Oia and to other beaches. 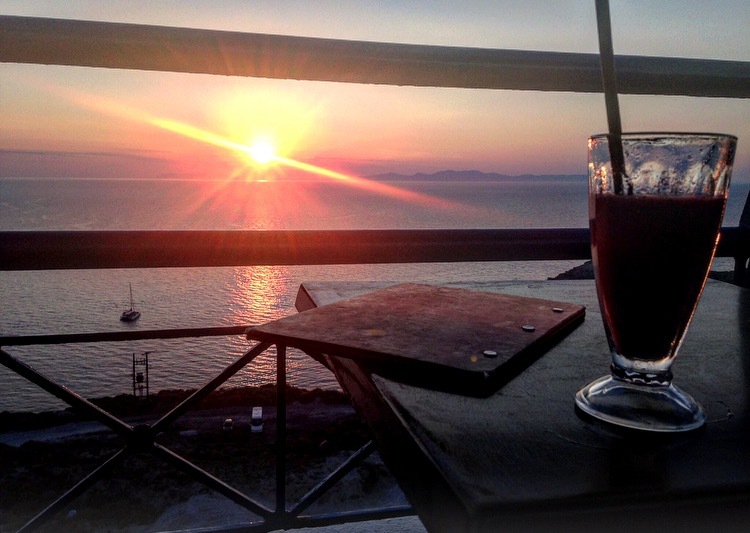 What I liked: Food Food Food and of course the spectacular views. That I stayed two nights, any more days would have been boring. 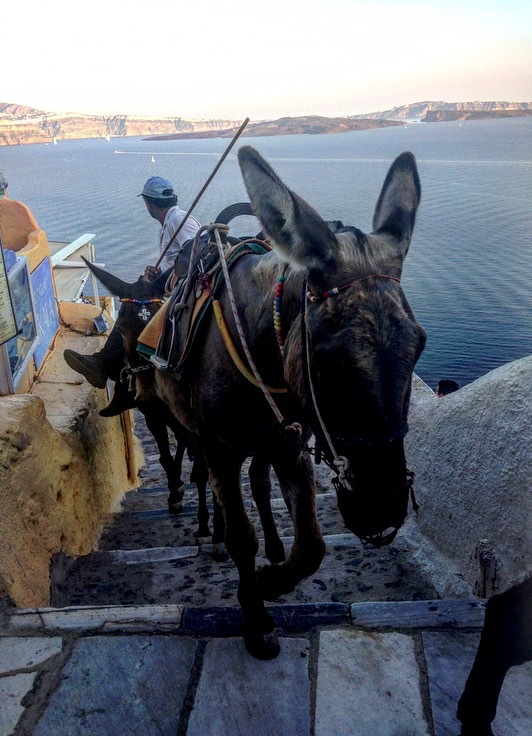 Travel Tip: Worth getting a car when in Santorini or even a quad bike if you want to explore the island. You don’t have to book in advance as there were many hiring companies to choose from. I also felt it was cheaper to book when on ground. Hope you enjoyed the write-up. 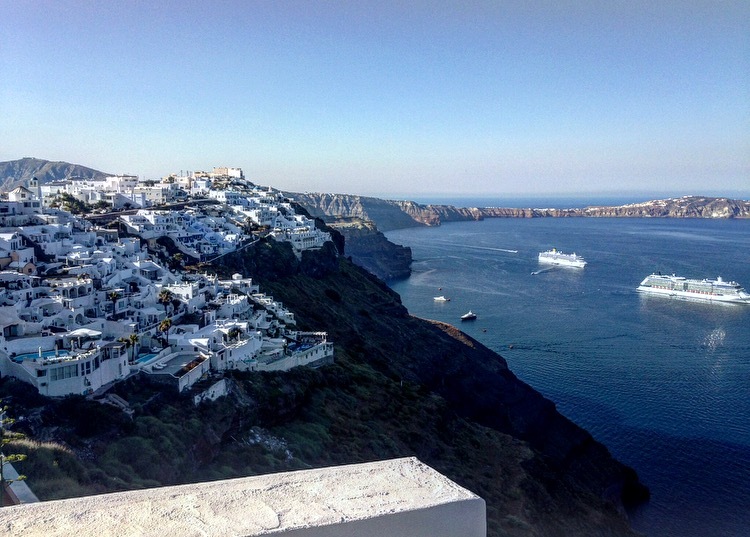 Have you visited Santorini before? What were your highlights? and if you have any questions, please feel free to ask.